Product prices and availability are accurate as of 2019-04-17 17:54:36 EDT and are subject to change. Any price and availability information displayed on http://www.amazon.com/ at the time of purchase will apply to the purchase of this product. 1. Pour coffee grounds and water into the filter. 2. Cover and allow to steep for 12-24 hours. 3. Remove the filter and discard the grounds, enjoy! The cylindrical wide-bottom design allows for a high ratio of coffee grounds. The more grounds, the richer the concentrate. And as the poet and philosopher Tupac Shakur once wrote, "the blacker the berry, the sweeter the juice." And we couldn't agree more. The included silicone seal will help you get your concentrate even richer as you can shake the jar worry-free to properly wet the grounds. 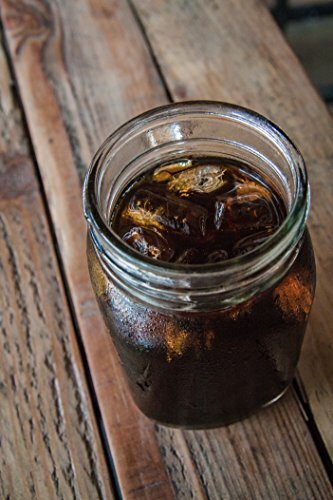 Cold Brew Coffee is for those of us who prefer less acid and more flavor. 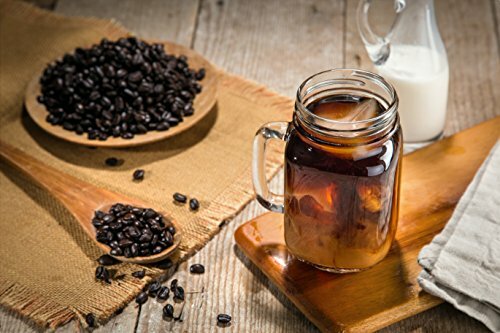 The cold brew process uses time rather than heat to extract oils, sugars, and caffeine from the grounds. The end result is less bitter allowing you to finally bask in Coffee's truest flavors. 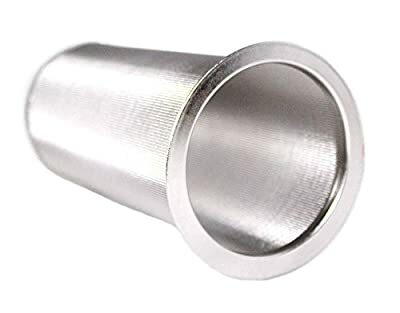 Our filter is made from a durable, food grade stainless steel wire, it has a special weave designed to invite yummy goodness from the grounds while keeping them out of our coffee. This kit can be used with a 24 oz, 32 oz, 48 oz, or 64 oz wide-mouth mason jar. 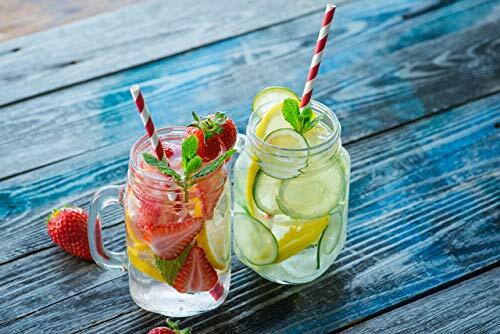 It can also be used to infuse water with fruits, spices and oils or make sun tea. You can use this system for any type of loose leaf tea. You are only limited by your imagination as the Klein Coffee Filter is perfect for all your cold brew and infusion needs. Click Add to Cart to end your search for the perfect cup! COMPLETE COLD BREW SYSTEM: The Klein Cold Brew Kit is designed from an extra heavy-duty 304 Stainless Steel wire. The special weave of the 100-micron mesh provides the smoothest no-grit finish in town. This kit comes complete with the filter, spoon, and a perfect-seal silicone gasket (BPA-free) to keep your home brew leak free! PROFESSIONAL COLD BREW AT HOME: Just add your favorite freshly ground coffee and water, and let our filter work its delicious magic! This fine-mesh filter can also be used as a coffee strainer and is perfect for tea infusing. FITS ALL WIDE MOUTH MASON JARS: Our versatile Mason Jar Infuser and filter fits 24oz, 32oz, 48oz, and 64oz Mason Jars. So yes, that one you have laying around! ICED COFFEE, TEA, INFUSED WATER, NUT MILK: Perfect as a loose leaf tea infuser and sun tea maker; and can handle cold pressed juices and cucumber water with ease. Customize your cold bru with cinnamon sticks, vanilla beans, herbs and spices and whatever else you can think of! THE KLEIN DESIGN: We are serious about our coffee. This is not your standard coffee filter; it is designed to survive the bottom of your camping gear while simultaneously delivering more flavor and less acid than other, less-serious coffee filters. We are honored to help you and your family craft the perfect cup of coffee.